can pick up will do just fine, and go straight for a taste test. 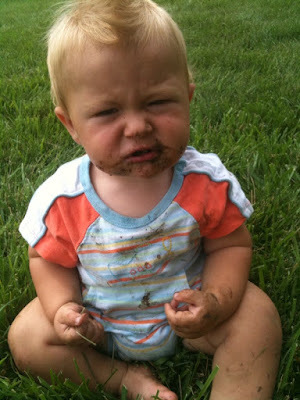 His little dirty face made me giggle out loud! look how blonde he is! love it!